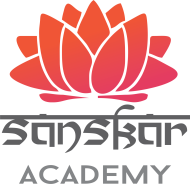 Sanskar Academy conducts classes in Class 10 Tuition, Class 11 Tuition and Class 12 Tuition. It is located in Byron Bazar, Raipur. It takes Regular Classes- at the Institute. What I should do study for coming in merit list of 10th board exam? Along With All The Below Best Suggestions Do The Smart Work, Keep Your Work Neat & Tidy, Your Presentation Should Be Best, Way Of Solution (In Case Of Mathematics) & Way Of Answering (In Case Of Other Subjects) Should Be Proper. All The Best.